The bridge was named after Emperor Charles IV, designed by Petr Parler and completed in the year 1400. Charles Bridge is best enjoyed early in the morning when tourist crowds are still sleeping, or by lamplight after they have returned to their hotels for dinner. During the day stalls and street musicians line the bridge and you can even have your picture drawn by a caricaturist. 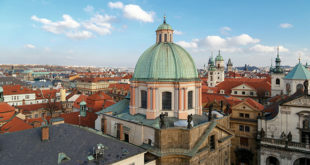 It is worth climbing Old Town Bridge Tower for a splendid view of Prague’s domes and spires and the wayward line of Charles Bridge. The tower is just beside Charles Bridge. 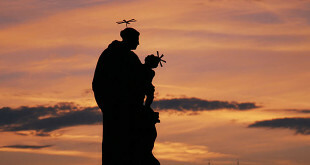 There are 30 statues on the bridge – many of them have been replaced with copies. Perhaps the most excellent statue is by Matthias Braun (1710), which shows St. Luitgard kissing Christ’s wounds in a vision. The originals are kept in the Lapidarium (National Museum) and at the Vyšehrad. 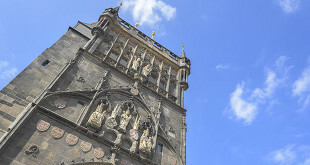 The magnificent Gothic Old Town Bridge Tower was also designed by Petr Parler and built at the end of the 14th century. It is considered the finest Gothic tower in central Europe, mainly for its decoration.